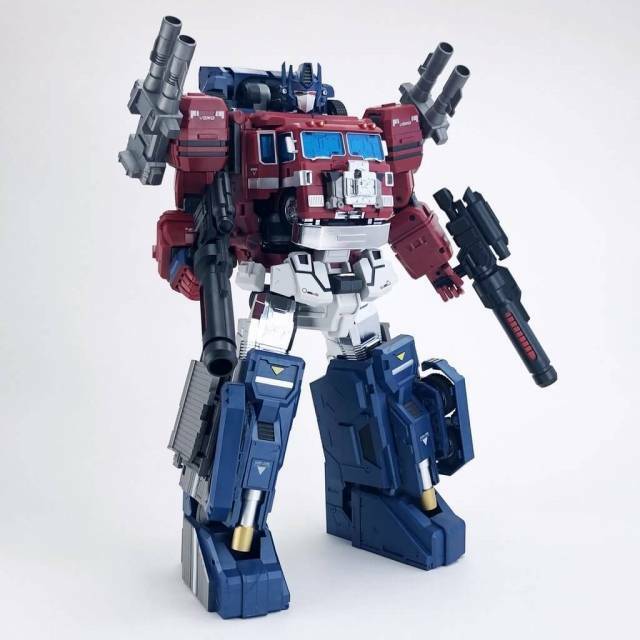 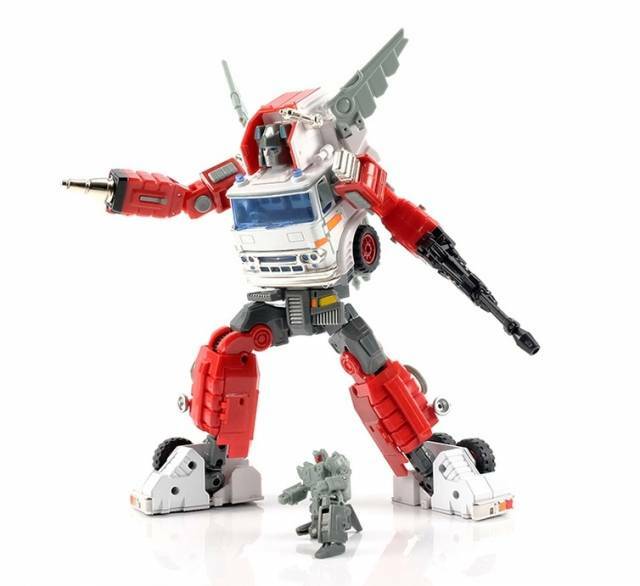 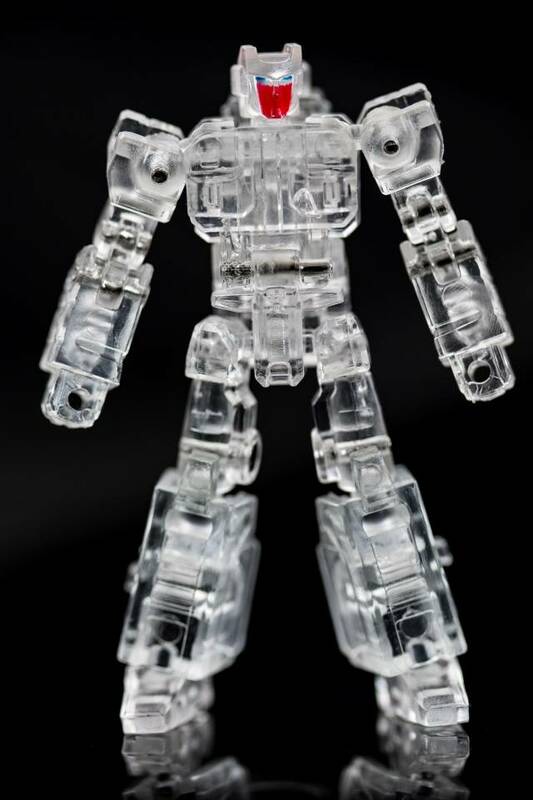 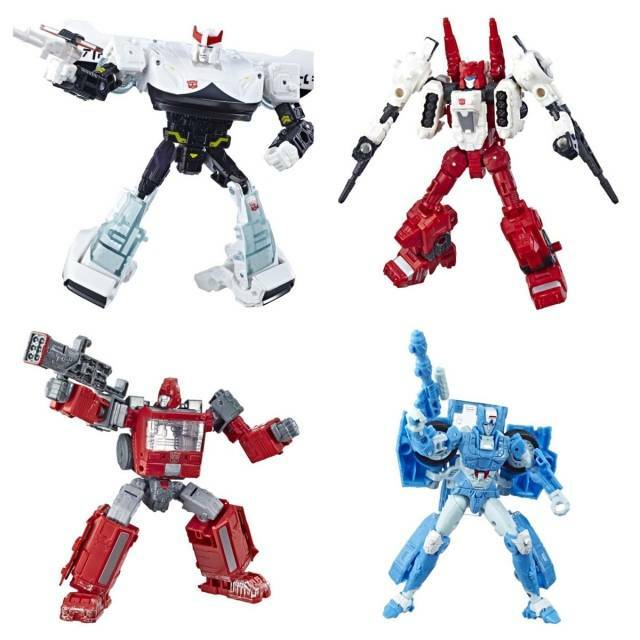 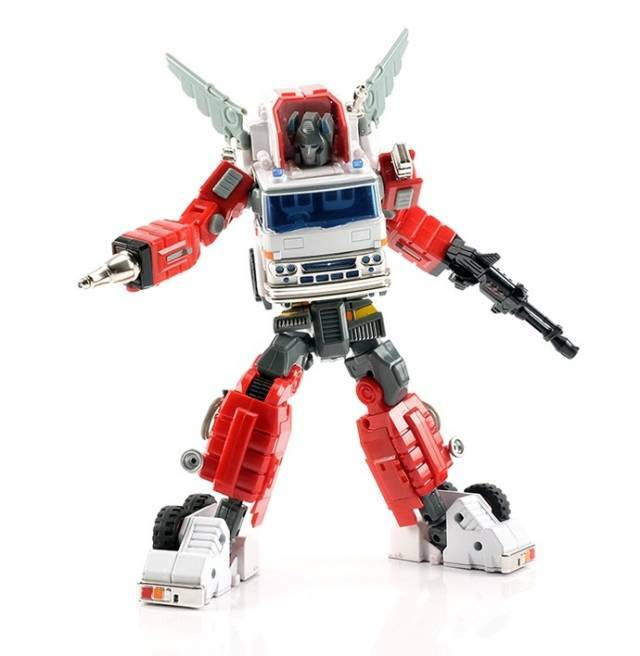 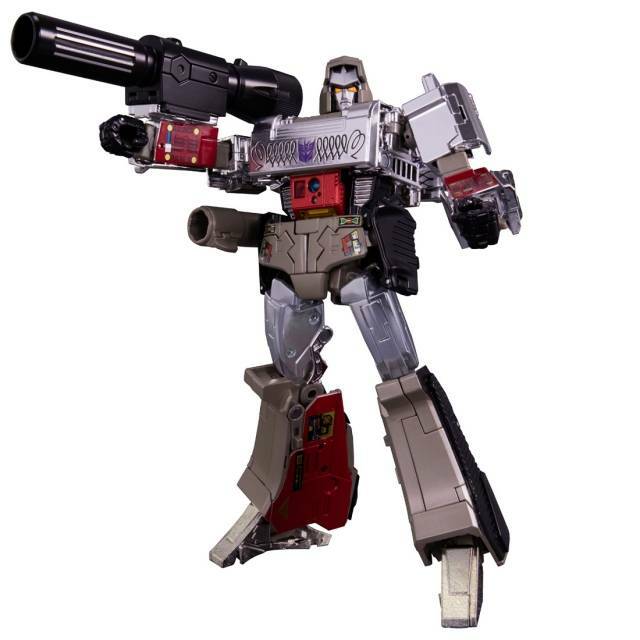 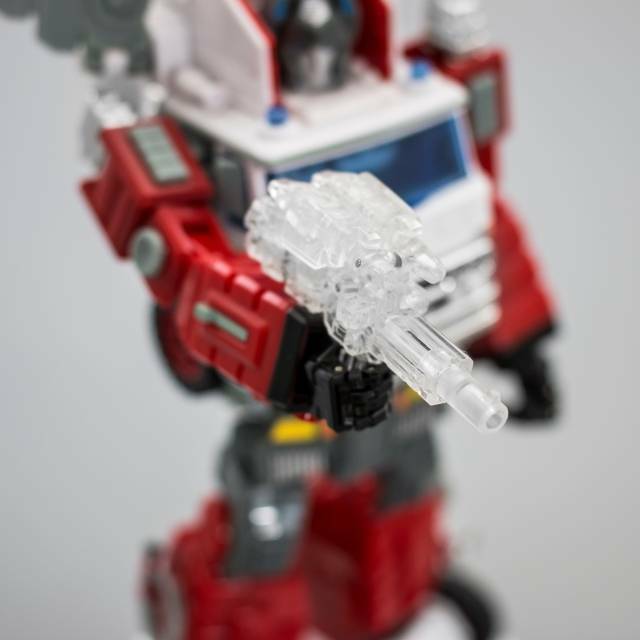 MMC's Ocular Max Kojin PS08 is a limited edition recolor of their Backdraft figure featuring a new Target Warrior Transformable figure! 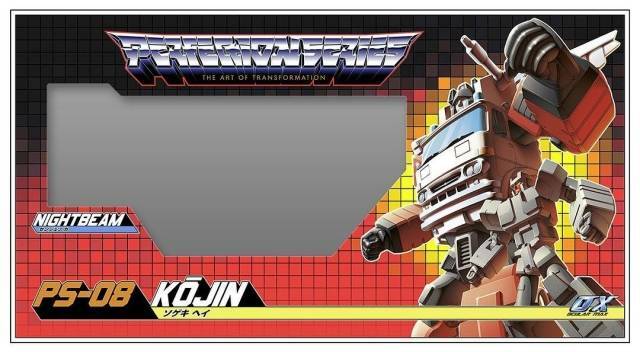 This version of Kojin is the kickstarter limited edition that inludes a bonus clear version of Nightbeam! 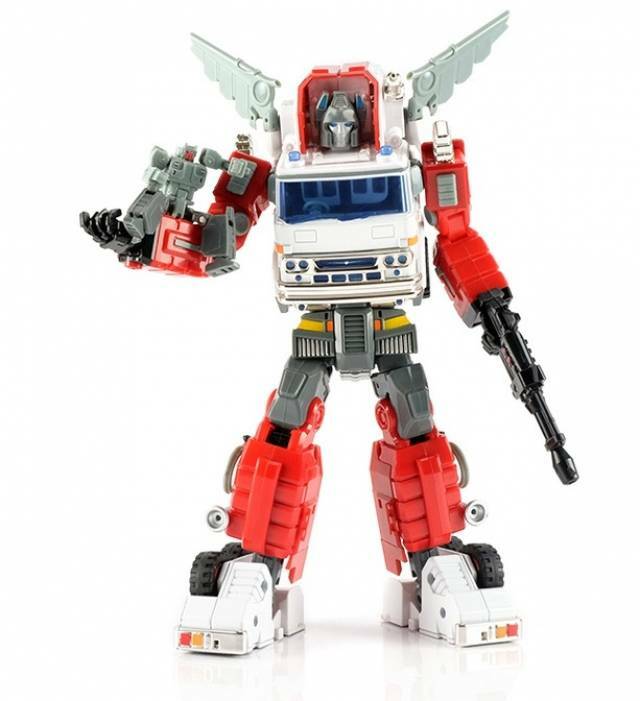 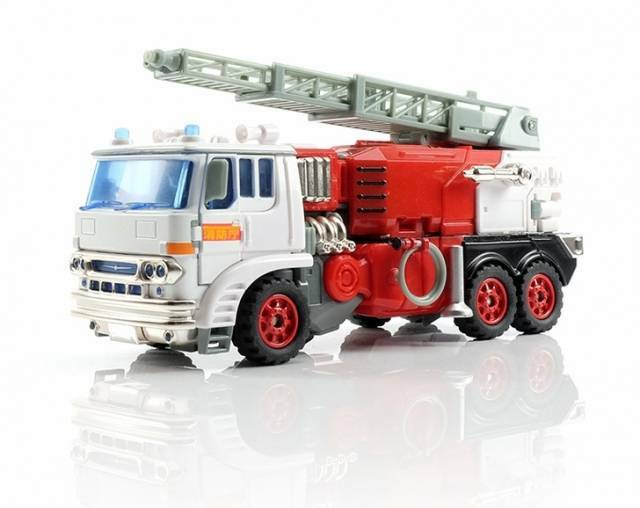 Kojin transforms from a fire truck to robot and back. 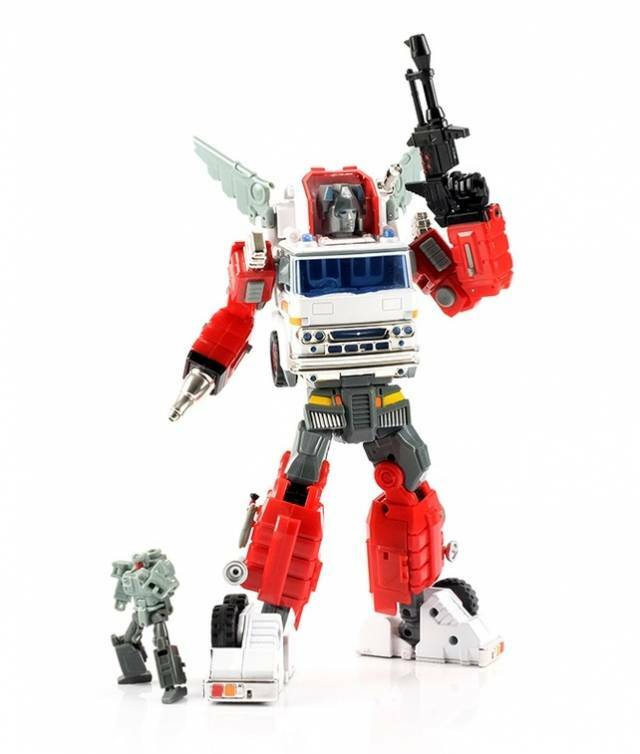 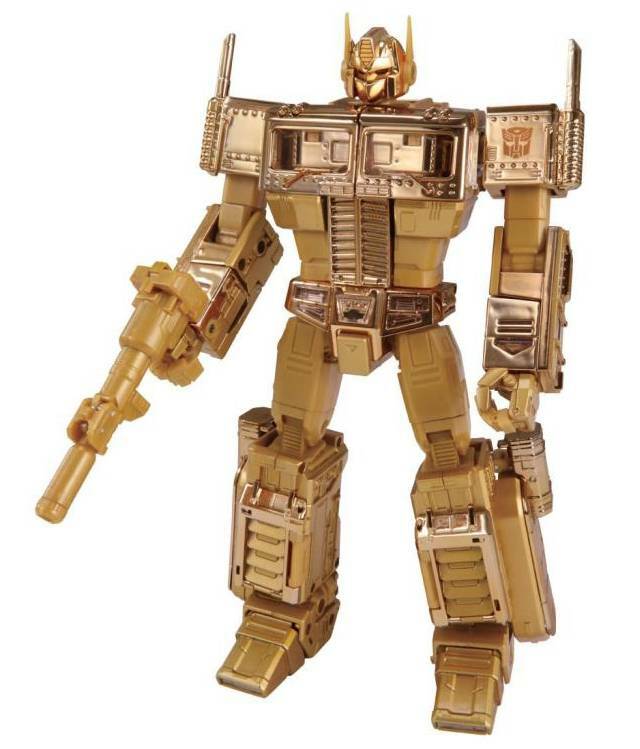 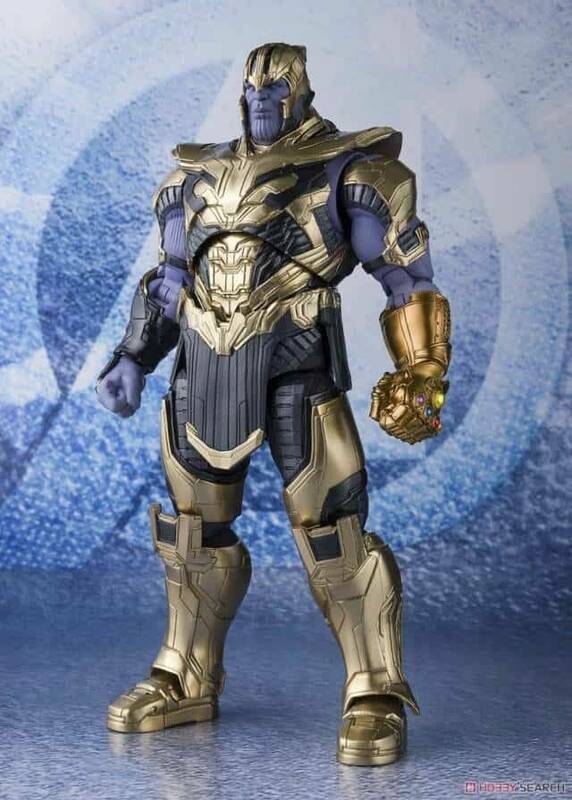 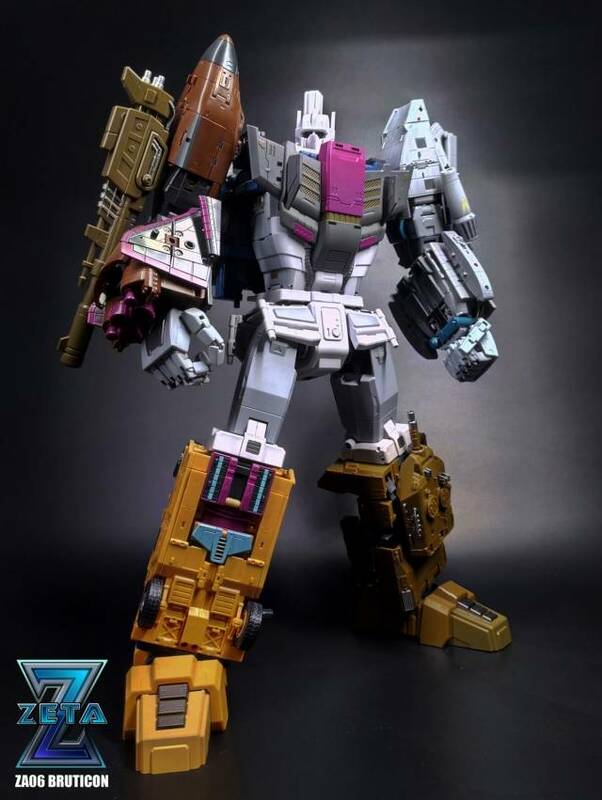 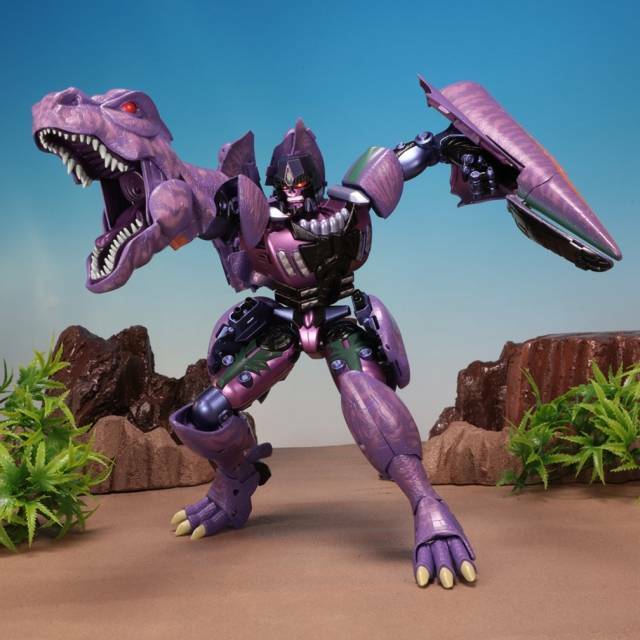 Figure is MP scaled and features: Die cast parts, stickers sheets, instructions, bio card, Bot height: 8.7" (22cm) tall in robot mode.